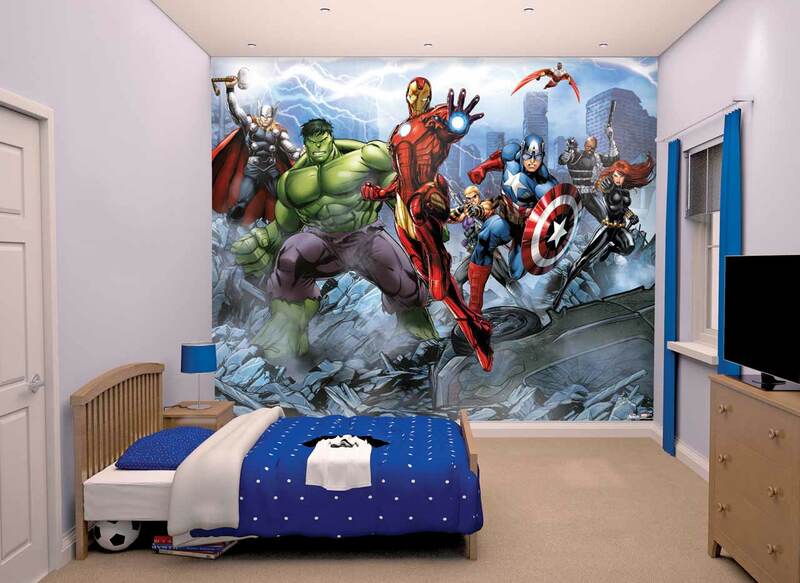 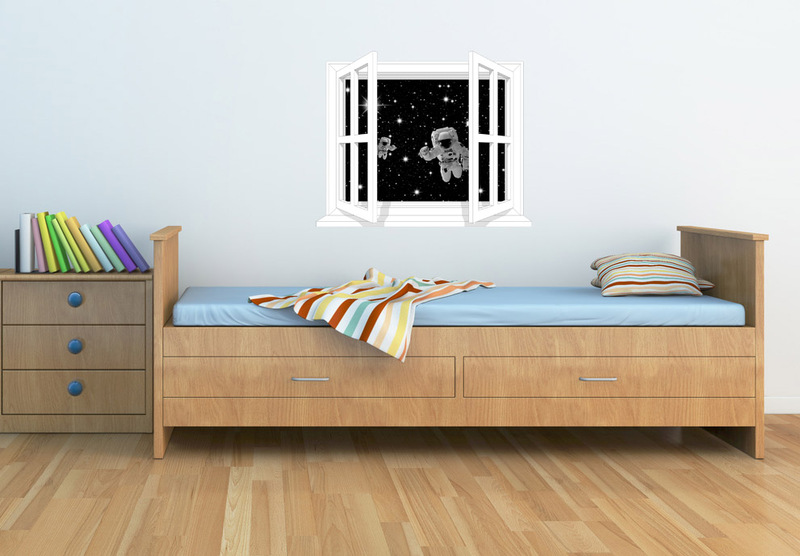 An Avengers Wallpaper Mural from Walltastic, Create a brilliant feature wall in your childs bedroom with this Avengers design for little boys, Just look at the amazing detail in this wallpaper design, Fits walls up to 10ft wide x 8ft Tall. They are Earth's mightiest heroes, formed to fight the villans no single hero could withstand. 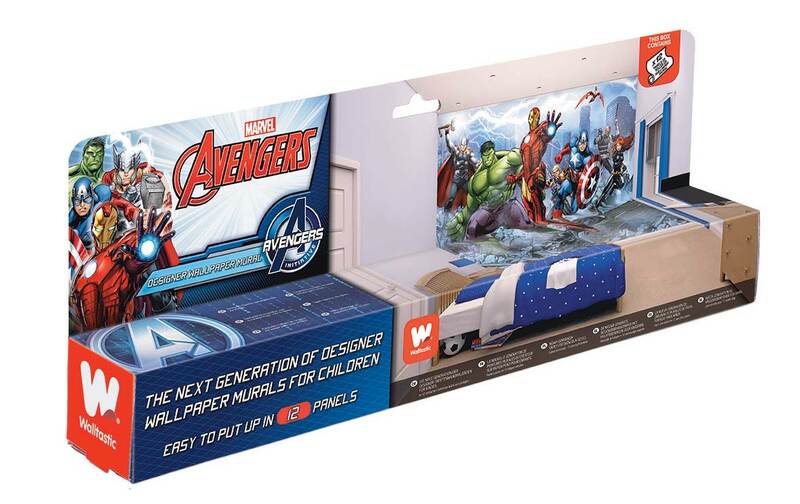 The Avengers are the most powerful super-hero team on earth, an ever-shifting assemblage of super-beings, crime fighters devoted to protectthe planet from menaces beyond the scope of conventional authorities. 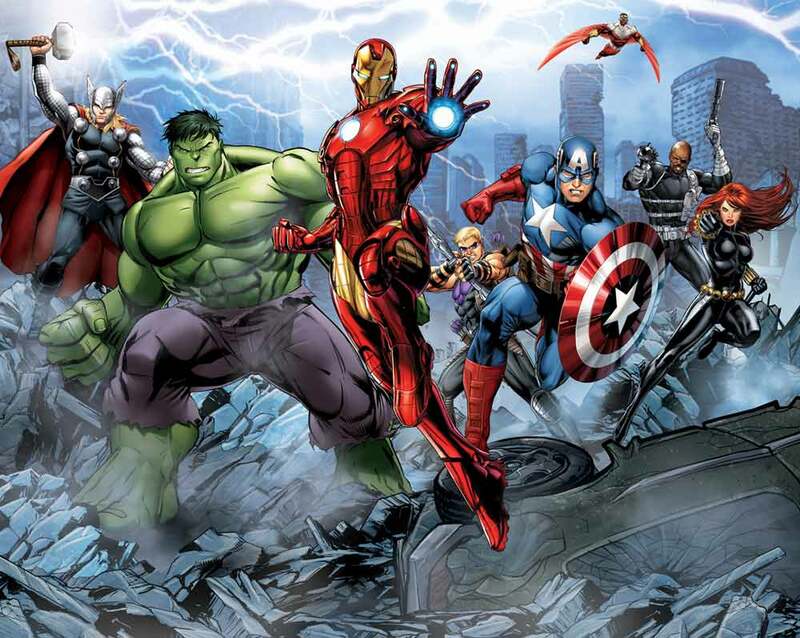 Super humans Avengers help save the Earth from Loki and his army.